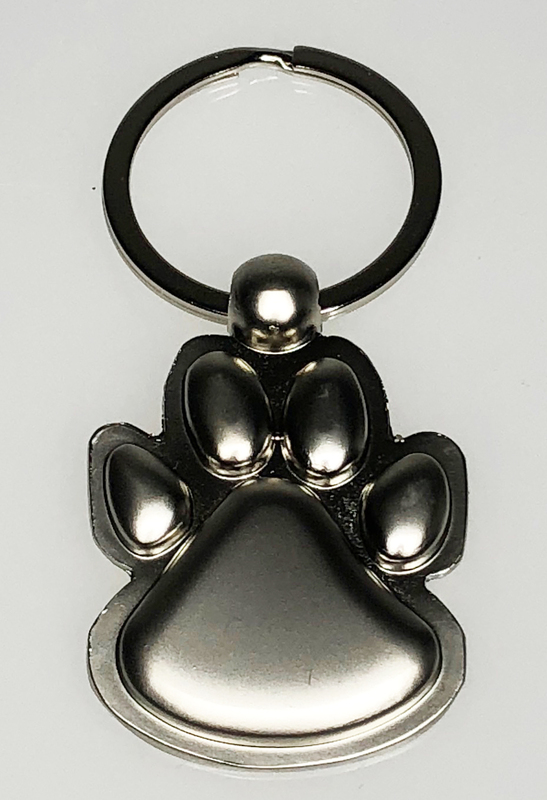 Our Paw Key Tag is made from zinc alloy and is finished in a brushed nickel finish. They measure 1.75" top to bottom by 1.25" at the widest point, and the measure 3/16" thick. 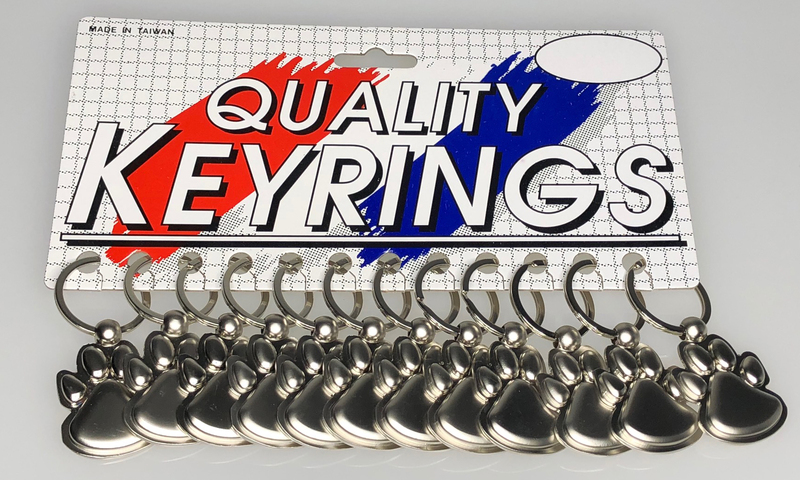 Each piece is attached to a 1.25" flat split ring. Packaging is 12/Card.